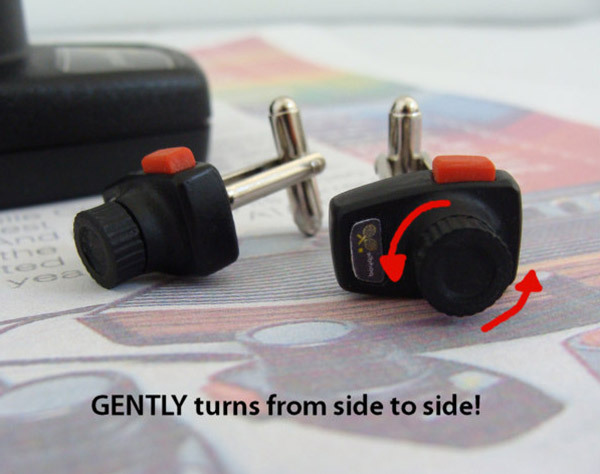 Atari Paddle Earrings And Cufflinks | OhGizmo! By David Ponce on 10/23/12 • Leave a comment! We’re suckers for retro gaming. We imagine we are because it reminds us of our childhood and lets us forget for a little bit that we’re aging old farts. Also, retro gaming rocks! There’s a purity and a focus on gameplay that isn’t always present when it’s possible to dazzle with graphics and effects. But whatever, we’re just saying all this so we can segue onto the above earrings. 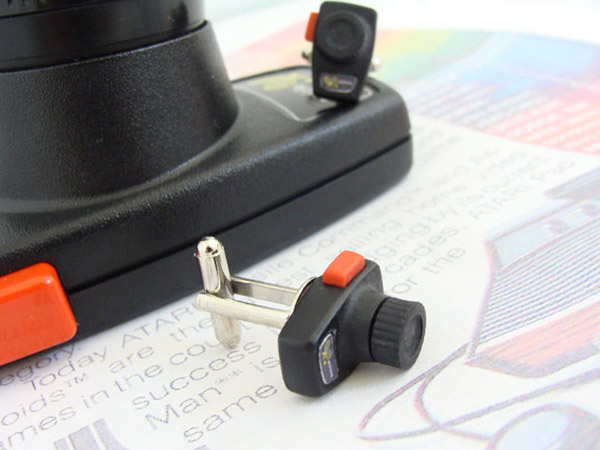 They’re tiny versions of Atari’s iconic paddle controller. And if you lack holes in your ears and/or inclination to wear fleshy-lobe ornaments, there’s also some cufflinks you can get. 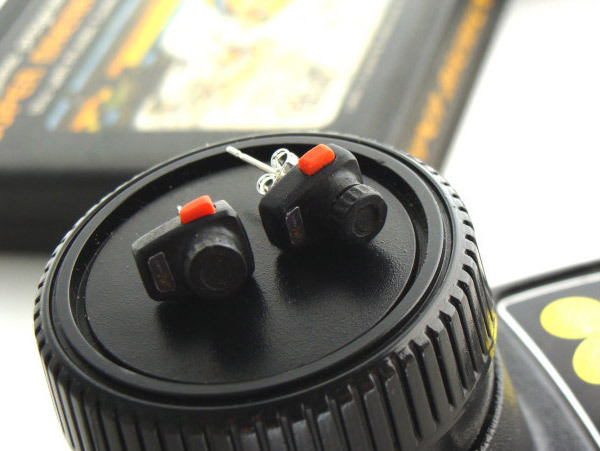 The earrings are about 1cm in length (or 0.39 in.) while the cufflinks are about 1 in. Being a bit larger, they can afford to have some “functionality”… if you call having the ability to turn the paddle from side to side that. 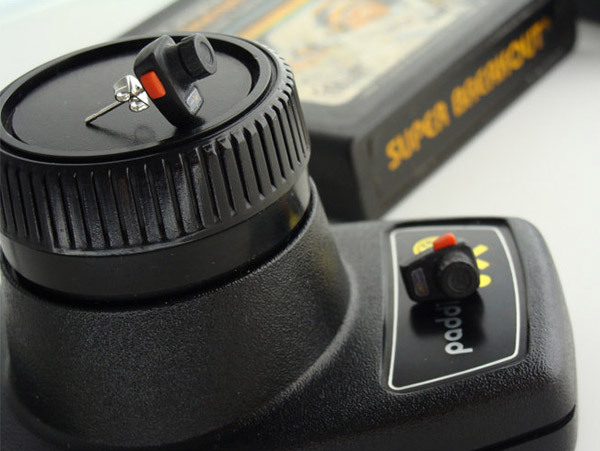 Still, it does give you something to fiddle with at a party, one at which you might actually be fidgety if you’re the kind of person who’s uncomfortable enough in a dress shirt to want to liven it up with retro gaming accessories. It’s $25 for either of these. And this being Etsy, they’re handmade to order so expect to wait some time before getting them in the mail. As usual, hit the jump for more pics and links.